This article was provided by Claire at Comparethemarketcarinsurance.co.uk take a look at the site for some great money saving tips. 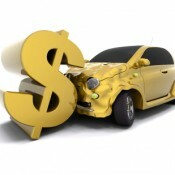 Car insurance is a mandatory and necessary part of the total cost of any car that you may have or intend to purchase. Knowing how to reduce the price of car insurance may seem to be hard but following these tips that are outlined below may help bring the insurance premium down. Tip 1. Improve your credit rating. Just as the percentage rate of a loan is determined by your credit rating so it is with car insurance. Even though a credit rating is traditional tied with applying for a loan, it is also looked at by the insurance companies to assess the credit risk. This credit risk evaluates the person’s ability to pay their financial obligations. A high credit rating infers that a person is responsible and is aware of their obligation towards financial matters. Demographics are part of the equation in determining what the insurance premium will be. Living in or intending to move into an area where there is high crime will result in higher insurance premiums. That is a fact of life, and it would be an interesting fact finding mission to find out which areas are considered low risk in assessing crime. If relocating to another city or even in another part of town, finding out where these type areas are can also help in bring down the insurance premium. There are a lot of insurance companies that contend for the people’s attention and business. Staying with the same insurance company year in and year out should lead to discounted premiums. Insurance companies understand that competition is fierce and will reward the customer that stays with them with lower premiums. So if your company is rewarding you with these discounts would be another reason to stay with them. These are just but 3 tips that where you can reasonably expect some sort of discounted premiums.